Ann Caesar is Professor in Italian and Pro-Vice Chancellor for Alumni Engagement & Warwick's 50th Birthday. 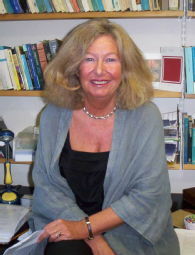 Her research has focused on the literary and cultural history of the novel in Italy which has taken her from the contemporary novel and the 20th century back in time to the origins of the modern Italian novel in 18th century Venice. Professor Caesar has responsibility for providing academic oversight to preparations for the University's 50th Birthday celebrations, which will begin in January 2015. She is also working with the Development and Alumni Relations Office (DARO) and departments to develop and deliver our alumni engagements strategy in the UK and internationally.